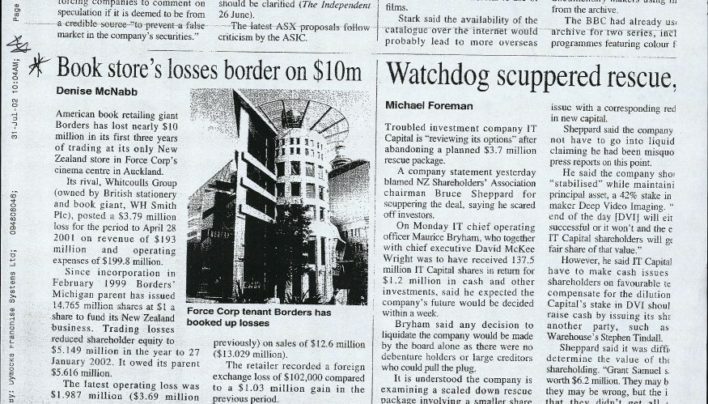 Article about the war of attrition between Borders and Whitcoulls in Auckland. 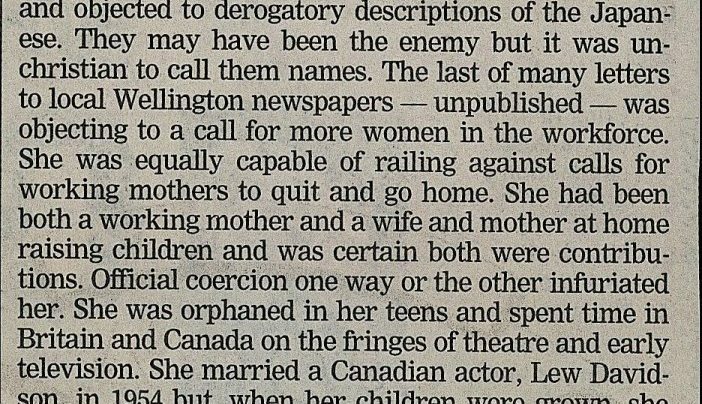 An obituary for Anna Woods. 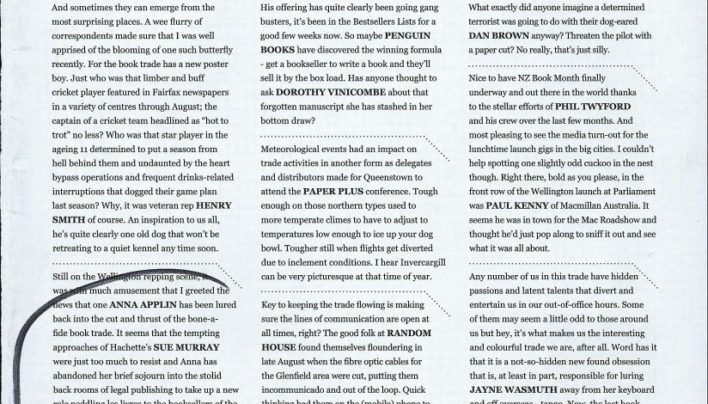 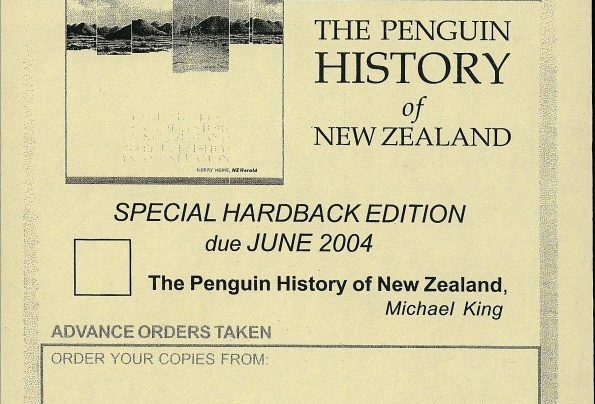 An advance order form for customers wishing to reserve a copy of the special hardback edition of The Penguin History of New Zealand by Michael King (Penguin Books NZ Ltd)…. 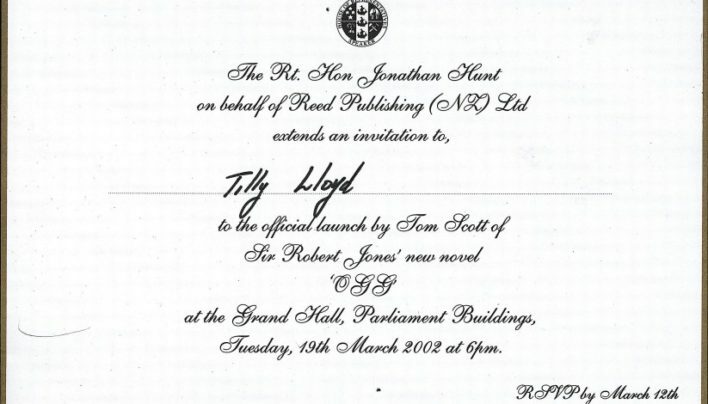 An invitation to attend the launch of OGG by Sir Robert Jones (Reed Publishing), which was launched by Tom Scott at the Grand Hall, Parliament Buildings. 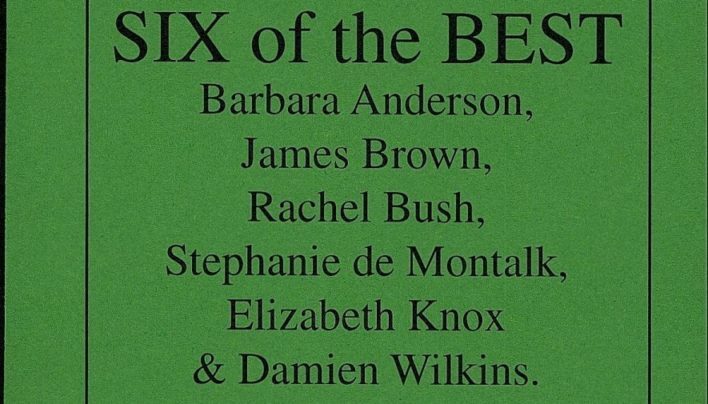 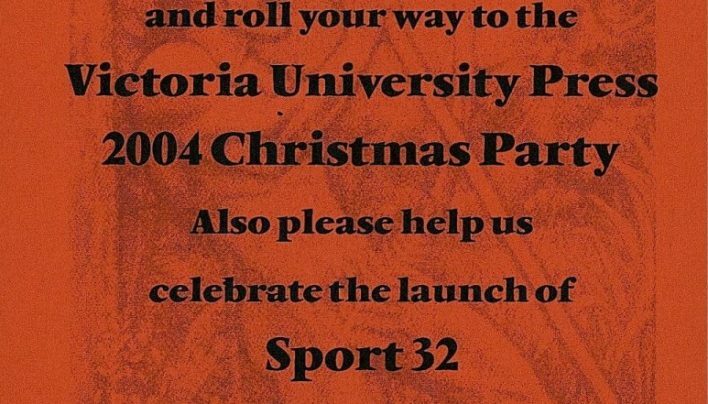 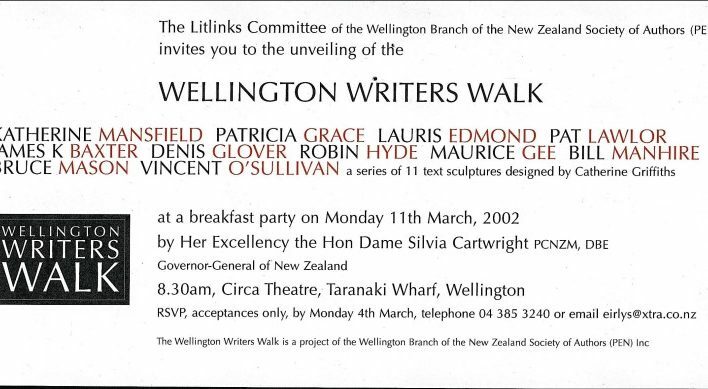 An invitation to the unveiling of Wellington Writers Walk, a series of sculptures by Catherine Griffiths incorporating text from eleven local writers. 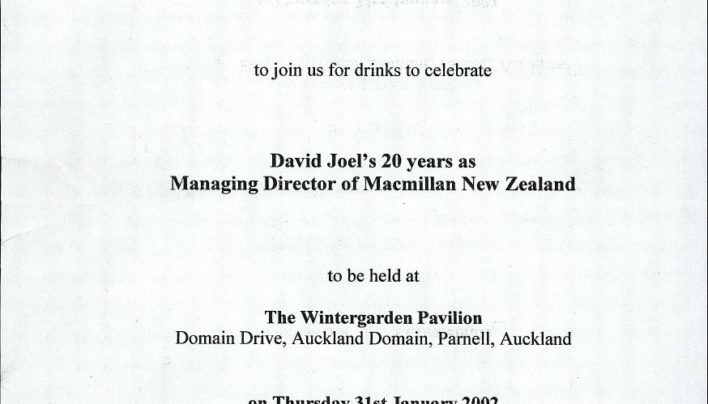 An invitation to celebrate the 20th anniversary of David Joel’s position as managing director of Macmillan New Zealand. 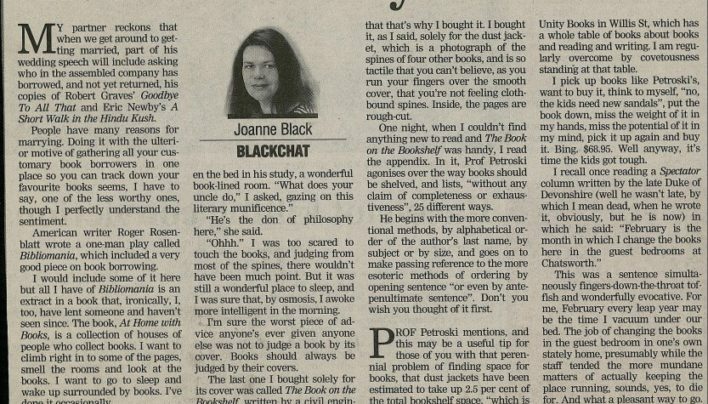 Joanna Black writes about the pain and joy of lending and borrowing books.